Product prices and availability are accurate as of 2019-04-18 19:03:50 UTC and are subject to change. Any price and availability information displayed on http://www.amazon.com/ at the time of purchase will apply to the purchase of this product. Use 1,2 or 3 post sections for an overall height of approx. 3ft, 4ft or 5ft. 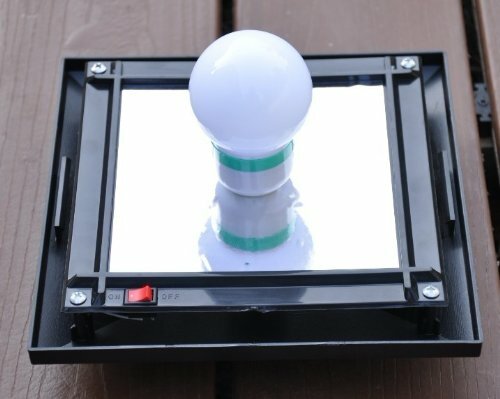 This low voltage light system features one large solar panels on top to recharge three Ni-Cad rechargeable batteries that power 6 bright LEDs housed inside a frosted bulb. Automatic light sensor turns lamp on at dusk and off at dawn. Solar cell then charges the built-in batteries during daylight hours. The base can be secured to concrete, a pave stone or any flat surface using the 3 pre-drilled mounting holes in the base and an appropriate fastener (fasteners/mounting hardware not included). Simply find a location that receives sun during the day and you can have light at night with no additional electric bill! 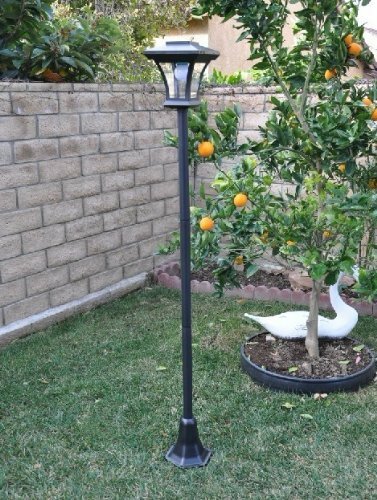 Perfect for lining a driveway, walkways, and patio or enhance your garden decor.